The most recent release on the 17 Seconds Records label which grew out of this blog was Matt Norris and the Moon’s This Kingdom EP (stream here ). This was a rather lovely version of ‘I Saw Three Ships’ which they recorded last year, and made available to download from their soundcloud. I posted this last year -but if you haven’t heard it before (or even if you have) check it out! It was never intended that 17 Seconds Records would leave it so long between releases, but this came out today! 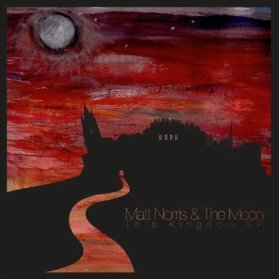 The This Kingdom EP by Matt Norris and the Moon can be streamed here and bought from the band’s bandcamp, or from other sites including iTunes, eMusic, and Amazon, as well as being able to stream at Spotify. There have been some nice bits of press, including The Scotsman, Rhythm & Booze, dauphin mag, [sic] Magazine, For Folks Sake, Folk Blues & Beyond, and Thank Folk For That. Not only that but nice pieces have appeared at RingMaster Review and Frost Magazine. Forthcoming on 17 Seconds Records! Next week will see the first release from 17 seconds Records in over a year, Matt Norris and the Moon’s This Kingdom EP. This will be 17SEC28. It will be available on CD and from all decent download services. The band will be playing an instore at Edinburgh’s Avalanche Records at 5PM on Monday May 14 and they will also have an EP launch at Edinburgh’s Voodoo Rooms on May 23. This will come with support from Donna Maciocia and Randolph’s Leap, as well as yours truly on the (ahem) wheels of steel. Yes, we know, last year was quieter, but the big release round 17 Seconds Towers was the arrival of the wee man nearly eleven months ago. Anyway, Matt Norris and the Moon have finished their fine, forthoming five track EP, and it sounds ace. First of all, the Wildhouse will be playing at The Balcony Bar in Dundee on September 10 (yes, that’s a week today), supported by Vladimir (recently featured on these pages) and Cosmic Dead. …and in other news: great excitement at 17 Seconds Towers the other day, when the latest album by The Wildhouse arrived here. It will be released on November 14, and it’s called Solanis. The first time I came across Matt Norris and the Moon, they were the support act (along with Burntisland) for The Last Battle at the album launch for Last Battle’s Heart Of The Land, Soul Of The Sea. Come March and I was overwhelmed by the sheer amount of entries for the Glastonbury Emerging Talent Contest, which I was one of the (forty) judges for. Matt Norris and the Moon were one of the standout entries and one of my three choices. Eventually, Matt and I were introdiced by a mutual friend -and bizarrely, discovered that back when I was still teaching, I’d actually been a teacher at the school when Matt was still a student there. 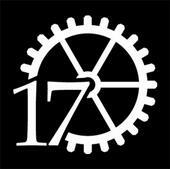 I expressed an interest in putting out some of their stuff…and we’re proud to announce that the band will be joining us here at 17 Seconds Records. 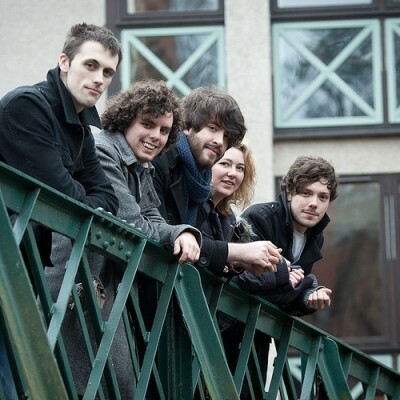 The band are Matt Norris, Tom MacColl, Dave Law, Helen Cookson and Dale Birrell. We will be doing an EP with them in the next few months. Tomorrow is Record Store Day. This now seems to be a fairly worldwide thing (OK, North America and the UK) which is now starting to be a victim of its’ own success. To whit: There are now a huge amount of special releases, which is great that bands are encouraging fans to buy physical releases; but not so good if a bunch of ebay Pirates get therte early, snap them all up and flog them online before true fans (i.e. the ones who might want to, y’know, actually listen to them) get a chance. NME have listed fifty essential purchases. Great if you are rich enough and don’t have to go out to work, I guess. However; rather like libraries (I’ve worked in both Record Shops and for the Library Service over the last ten years), Record Stores have their place. They are worth fighting for. As a punter, I still get more of a thrill browsing new and second-hand racks than gazing on eMusic or iTunes. I do use these services, but this is back-up, not as a replacement. It was far more thrilling to hold the physical releases that we have put out as 17 Seconds Records than to see them on digital services. There’s still something that is tangible, collectible. I remember the thrill of buying my early records – the first 7″ was ‘Caravan Of Love’ by the Housemartins back in late ’86, from WH Smiths. Avalanche in Edinburgh has continued to survive whilst others failed by focusing on supporting local acts, and I have seen many customers come in from abroad who will then buy stacks of CDs that they have been recommended. I never saw that in Woolworths. It also does a lot of second hand stuff, which is brilliant. Oh, and when I’m buying second hand vinyl I like to be able to check it. I’m not into sniffing vinyl (except to put the wind up people), but I do want to be able to chat with people about what I am buying. Can you do so much of this stuff over the internet? Well, yes, you can. But then again, I’d rather go out for a coffee than sit in a chatroom online. Like David Byrne points out in his excellent book on Cycling, Bicycle Diaries, there’s something far more organic that comes together when people collide and come together naturally, rather than just gravitating to people or things they think they’ll like. I’ve bought stuff I have liked because I heard it playing by chance in a record shop. I tend to do less with links on digital record shops. There’s excellent articles on RSD on Song, By Toad, some interesting points from the NME here, and The Scotsman’s Radar has contributions from both Bruce Findlay and Kevin Buckle. We have done a limited CD-R as 17 Seconds Records, which is being given away in Avalanche. 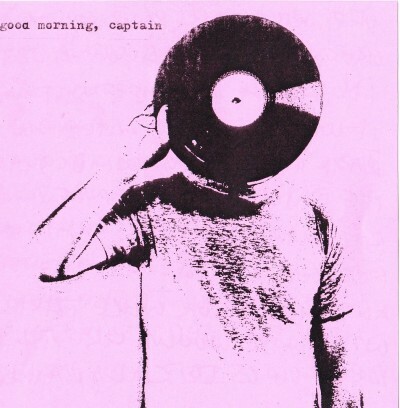 Forst of all, next week it is Record Store Day on April 16. As part of this, we [17 Seconds Records]will be giving away a free CD sampler at Avalanche Records in Edinburgh. More details to come nearer the time – BUT -artists confirmed to appear on it so far include Fiction Faction, The Last Battle, the Wildhouse, Chris Bradley and X-Lion Tamer. The Last Battle will be playingas part of Record Store day in Edinburgh at Avalanche, they join Frightened Rabbit, Penguins Kill Polar and Gordon MacIntyre from Ballboy, all from 1pm… they have also announced that they will be playing with Jesus H. Foxx and The Travelling Band at the Electric Circus on May 31 in Edinburgh. 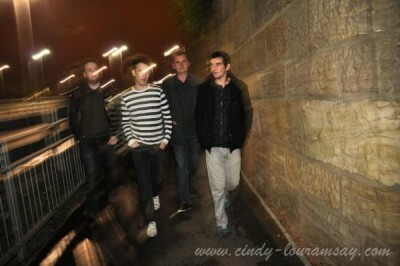 Not only that but they will be playing at both the Insider Festivals and Homegame in Scotland. And they are working on a NEW EP. The Wildhouse are headlining a noise-pop all-dayer in Glasgow at the 13th Note on April 30th -read more about the line-up here. Fiction Faction are not men to allow the grass to grow under their feet. This is entitled ‘Malenky Lizards.’ Liking this a lot. 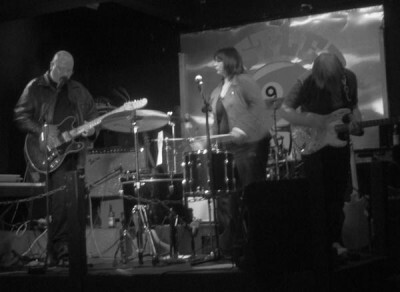 The band also support Scanners at their gig at the Captain’s Rest in Glasgow on March 29 (yes, tomorrow, you were told). Update: go here to hear more from Fiction Faction.